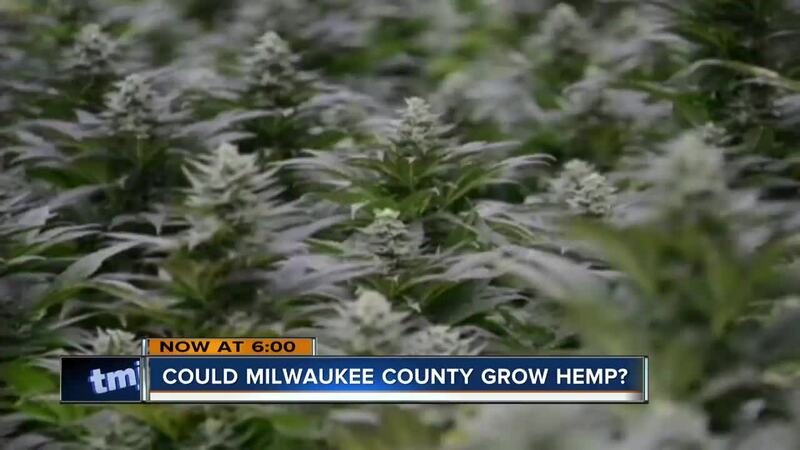 A Milwaukee County supervisor tells TODAY'S TMJ4 that new research shows the county could make hundreds of thousands to even millions off growing hemp at the Mitchell Park greenhouses, which are right behind the domes. For the last several months, county supervisor Sylvia Ortiz-Velez has been learning about the hemp industry, changes in the laws and whether it could be grown at the Mitchell Park greenhouses. "We asked experts in the field to kind of give us their ideas of what they would do in the facility," she said. Do you think Milwaukee County should grow hemp at the Mitchell Park domes? A county supervisor says county could make $300-500K first year. Ortiz-Velez said hemp industry experts estimate the county could profit $300,000 to $500,000 in the first year of production, and it only goes up from there. They believe hemp grown in just one of the 5,000-square-foot greenhouses could net between $1 million to $5 million per year after five years. "This is a great way to create revenues without raising taxes," she said. It's easy to find hemp CBD oil shops. There are dozens in the Milwaukee area, but few sell product grown in Wisconsin. "Right now we have just one product on the shelf that is a Wisconsin-grown hemp, Wisconsin-made product," CBD store manager Laura Morro said. Morro believes the hype around CBD isn't going to be a fad. She thinks Milwaukee County could tap into a lucrative market. "We're excited about the prospect of this industry growing as long as it's happening in a responsible way," Morro said. Ortiz-Velez said if everything goes according to plan and the county board passes this proposal, they could start growing hemp at the Mitchell Park greenhouses as soon as next year.